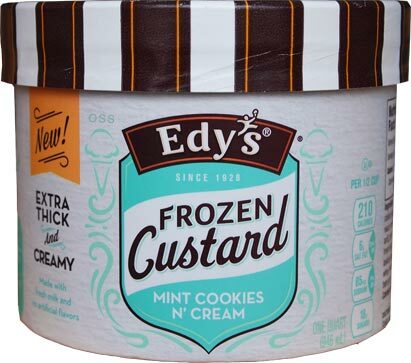 [2015-2016] Despite my unpleasant experience with the chocolate malt yesterday, I still have high hopes for the next of six new Edy's frozen custards . Since yesterday was such a let down, let's jump right to the point on this one. It's good, quite good, just not perfect. We've got a nice mint flavor. Distinct without being overpowering. A bit of mint effervescent but not a ton. The texture is nice and dense, so your encouraged to take smaller bites (if you don't let it tempter anyway). It's a fairly clean flavor on the tastebuds. So why is it not perfect? 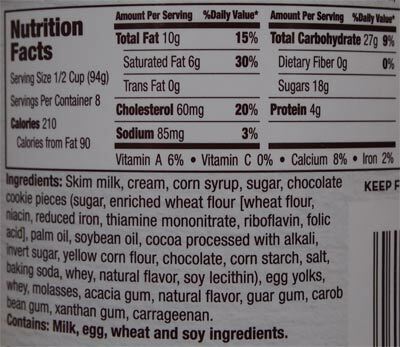 Well, they use chocolate cookie wafers and not Oreos. That's not a huge deal though IF you blend up enough wafers in to the base. Don't get me wrong, I love that you can see a multitude of wafer chunks, but the base itself needs more wafer crumbs to really have that complete gritty vibe that I adore in all the best C&C flavors. That's all I got on the first scoop. I expected a quality product since I'm only getting a quart and I got it. I would love to say this one is epic, but I think few people will have any complaints about this. 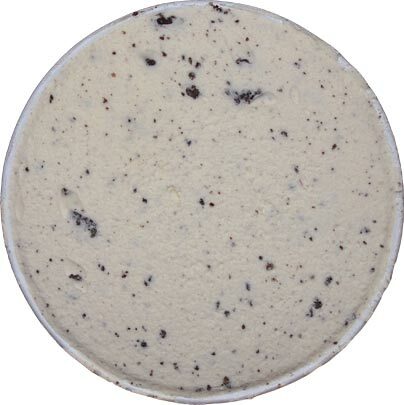 It's denser and less gummy than their slow churned mint cookie crunch, so this makes a sensible addition to their current offerings. I approve. 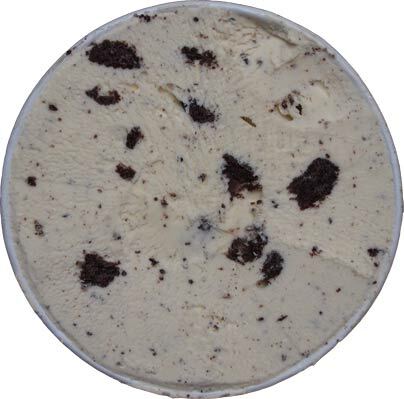 On Second Scoop: Ok, yeah, this one definitely needs more emphasis on the COOKIES part of the description. There's a bit of buttery smoothness to the mint base and the gritty cookies would have really dialed this one in to the next level. As is, it's just a moderate product for me, nothing that stands out, nothing that is terrible. Here's hoping the next frozen custard I try is even better. Definitely agree with the review, particularly the need for more cookies: this had less than the Slow Churned Mint Cookie Crunch.